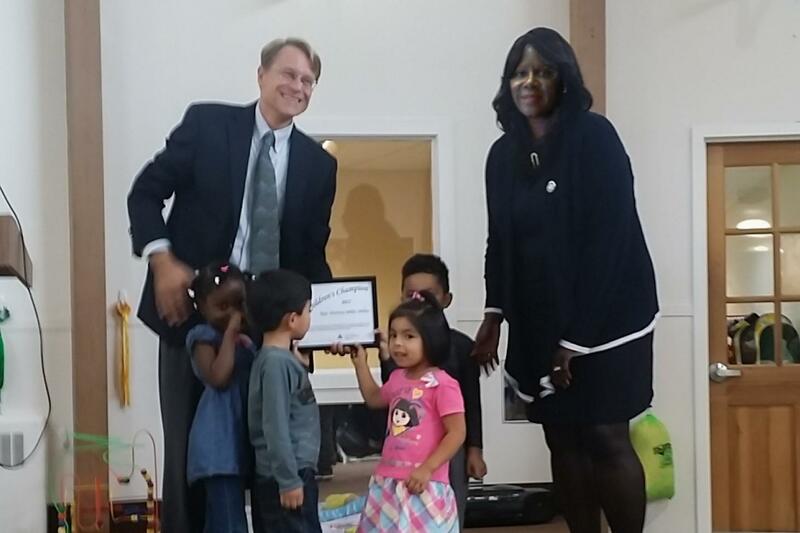 I want to thank the Connecticut Early Childhood Alliance for naming me a 2015 Children’s Champion. To have my efforts recognized is a true honor. Working to better educational opportunities for children in Stamford and the state of Connecticut is a labor of love and I look forward to continuing that work next session. Every year, the Alliance recognizes legislators who worked closely with early childhood advocates to shape legislation that impacts the well-being of Connecticut’s young children in the areas of healthy development, early care and education, nutrition and safety. As a member of the Education Committee, I advocated for legislation to help students with dyslexia succeed in the classroom. The State Department of Education is now required to designate an employee to help parents and local Boards of Education detect and intervene on behalf of students with dyslexia and teachers will take part in no fewer than 12 hours of preparation and in-service trainings on dyslexia education. I also worked to bring home critical education funding to Stamford. The State Bond Commission approved $75,000 in funding for pre-K education in Stamford this year and the city will also see an increase in Education Cost Sharing (ECS) dollars by $279,965 in FY16. I also helped to secure funding for the growing student populations at Rogers International Inter-District Magnet School and J.M. Wright Technical High School.